Roxane Gay is writing the highly anticipated Black Panther spin-off, World of Wakanda. She's making Marvel comic book history as the first black woman to write a run for the company. 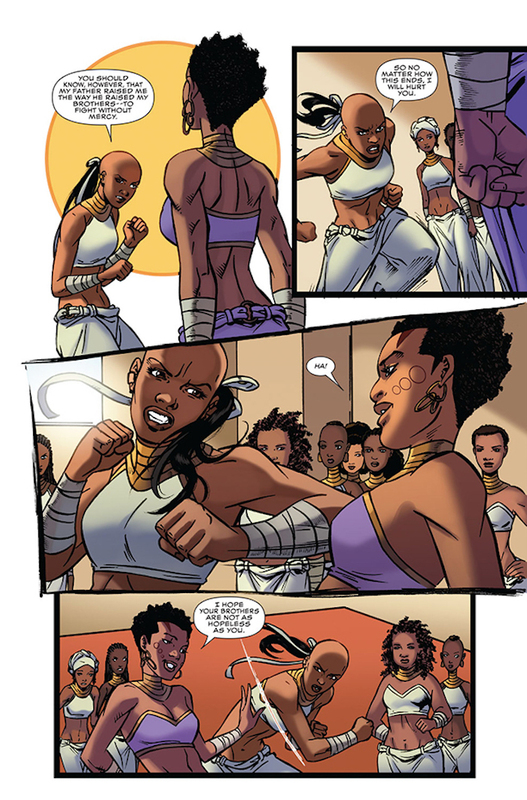 Her story will heavily feature the all-woman Dora Milaje, the elite fighting force that protects the king. Fam, it's really lit right now. In an interview with Entertainment Weekly, Roxane spoke about how she was sponsored by another black woman-led story. This one was created by another one of our faves, Shonda Rhimes. When asked about other pop culture she referenced when developing her characters Gay said, "I have definitely thought a lot about Olivia Pope in season 1 of Scandal." A Dora Milaje/Olivia Pope team up would be legendary. Imagine if that the whole crew comes to America and helps Pope & Associates take down a super powered bad guy. I'd read that issue a thousand times, and then buy a second copy to frame it. Roxane also gave a huge shout out to the beloved Image Comics series Saga, which means she has immaculate taste. What else would you want from the woman writing our comic book about Wakanda? I was already excited to read the books as they drop, but this was me even more charged up. Roxane Gay is magic and World of Wakanda is at the top of my pull list. Make sure you go pick it up on November 9th, or pre-order the book now if you're like me.